We are a unique and beautiful Boise Yoga and Dance Studio located right on Greenbelt, along the Boise River. We are only a few minutes from downtown and offer plenty of free parking. Our space is nicknamed “The Treehouse” because it is high in the trees, full of natural light, and the perfect place to feel grounded in the present moment. This special space is a quiet retreat, where you can meditate, move the body, and feel revitalized in no time. Our studio is a place free of judgement, filled with passionate and loving yoga teachers who are passionate about helping you with your yoga practice. Everybody is different, so we strive to accommodate all of the bodies and levels of yogis out there. 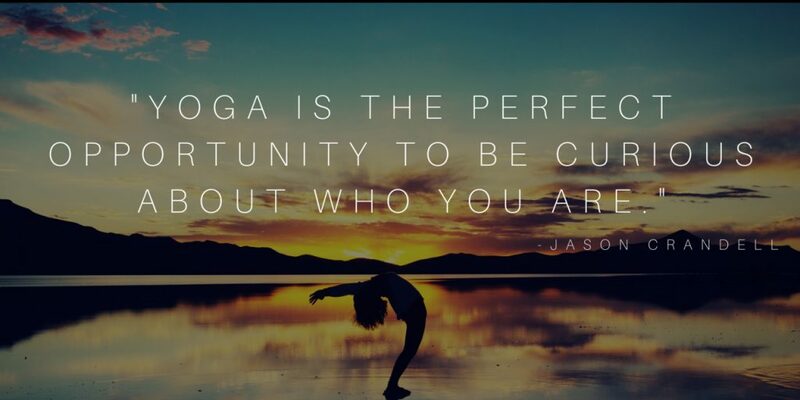 We offer a wide variety of classes such as Vinyasa Flow Yoga, Kundalini Yoga, Yoga for Stiffer Bodies, Restorative Yoga, BUTI Yoga, Yin Yoga, Gentle Flow, Pilates, and Dance classes! If you are new to our studio then be sure to check out our 1 Week of FREE Unlimited Yoga Special. This is a fantastic way to check out all of our classes and teaching styles. Yoga has amazing physical, mental, and spiritual benefits. It helps you gain more flexibility in your muscles and joints, builds strength, tones the muscles, melts fat, toughens your immune system, lowers blood pressure, improves concentration, boosts confidence, and most importantly makes you feel great. MUUV yoga studio is truly a unique and loving space where you can come be yourself and do what feels good to you and for your body. You don’t need to know any yoga to feel at home here at our Boise yoga studio. It is our mission to love and uplift one another in this community through yoga and movement. We hope to see your face here with us. 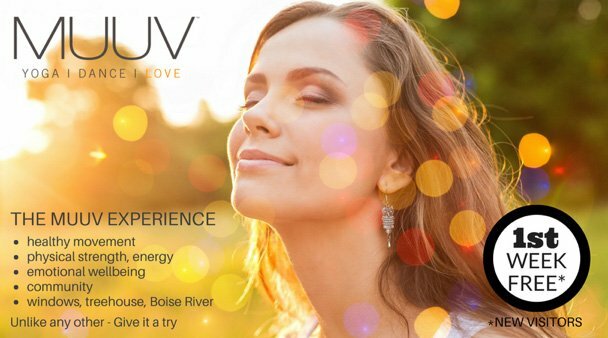 CLICK HERE to get your 1-Week FREE unlimited MUUV Pass! We offer a wide variety of classes and workshops here at MUUV. For pricing options click here. See Yoga class descriptions here. Love to move, dance, and sweat? We offer fun Power Party Sculpt dance classes where you can get your groove on while learning some fun dance moves. See dance class descriptions here. Pilates more your thing? We have reformer machines in a separate open space in the studio and wonderful instructors to guide you. Schedule a pilates class with us today.